Have you ever wondered what it would be like to live inside a SNOW GLOBE? 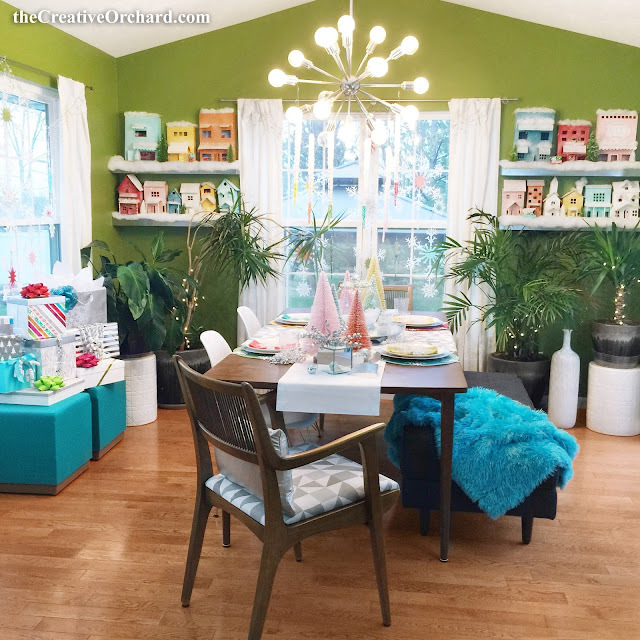 Well that's how the inspiration for my Dining Room's HOLIDAY decor all started. 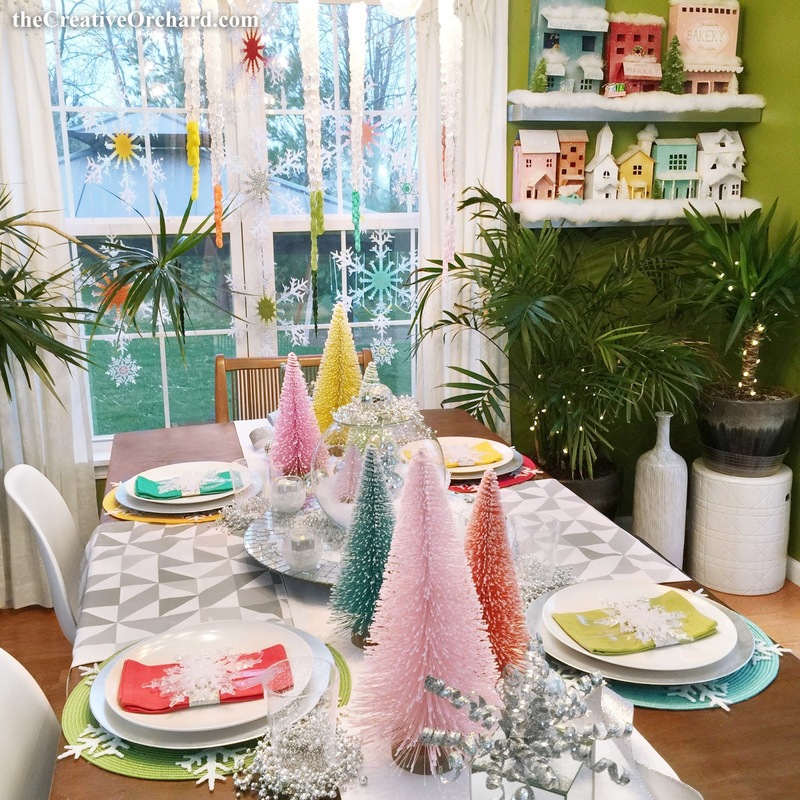 I've always been a HUUUUUGE fan of everything that reminds me of a retro/vintage Christmas, especially BOTTLE BRUSH TREES! I almost purchased some last year but I decided to wait because all I could find were green, white, silver and gold ones. If you haven't learned by now... I like COLOR, lots and lots of COLOR!!! 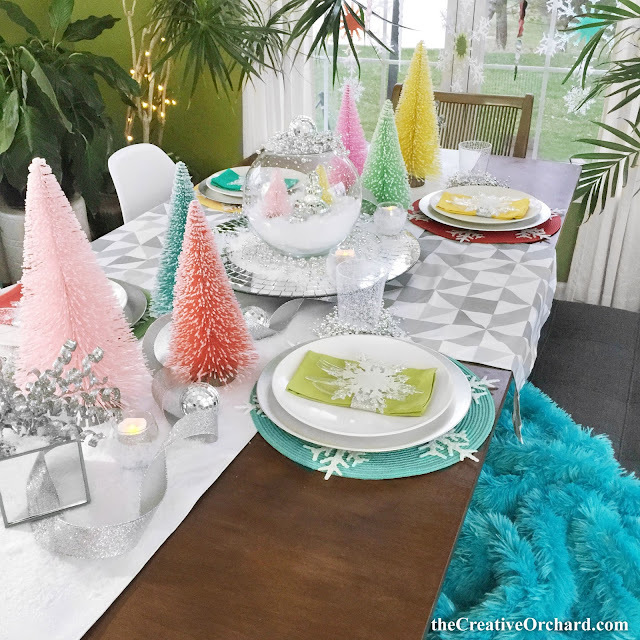 So when Target released their new HOLIDAY collection this year, I guess you could say I was literally DROOOOOLING over the COLORFUL BOTTLE BRUSH TREES that were available in so many different COLORS and sizes. So of course, all of them "accidentally" fell into my shopping cart. 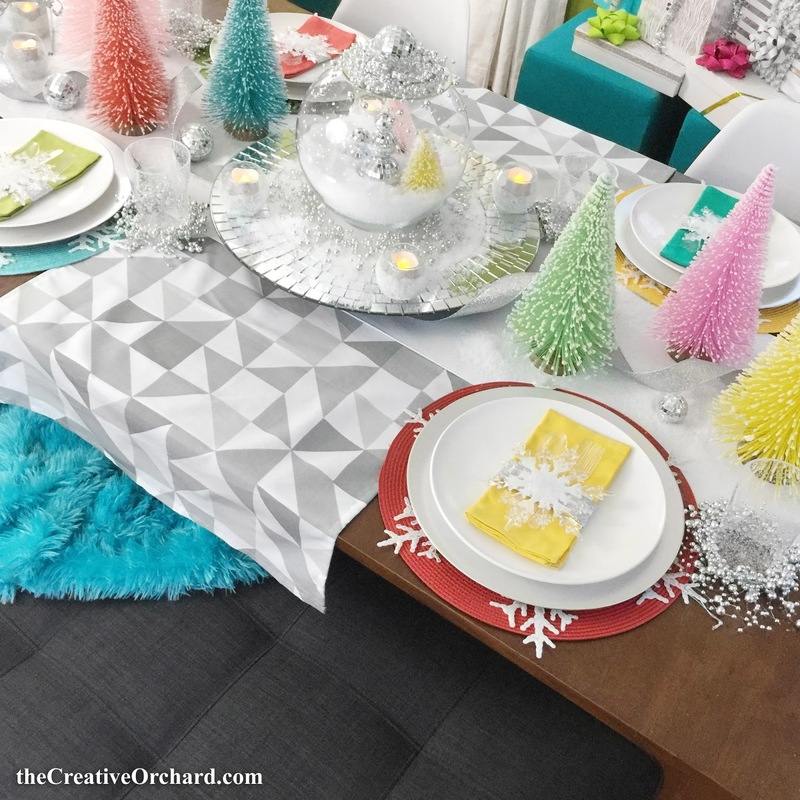 And that's when my COLORFUL Winter Wonderland Dining Room decor plan began. Then I stopped by Dollar Tree Store and found tons of GIGANTIC SNOWFLAKES and mini snowflakes for only $1 but they were only available in clear/white. So of course, I broke out the handy dandy SPRAY PAINT to add a burst of COLOR to the middle of each SNOWFLAKE. 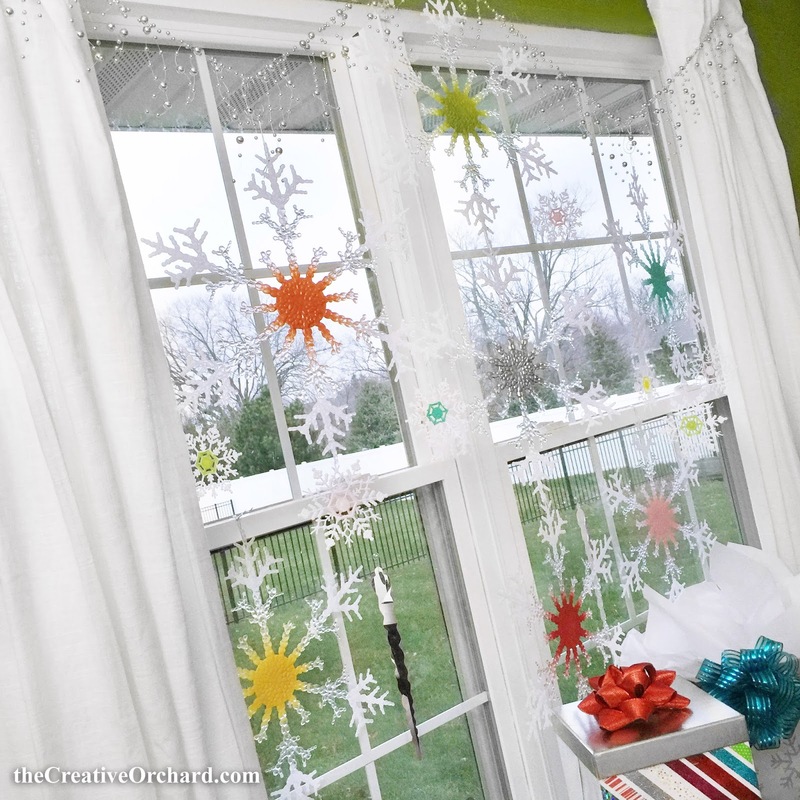 They were hung in front of both windows kinda like a SNOWFLAKE curtain. I hung some GIANT ICE CYCLES that I already owned on the chandelier. The centerpiece base was a disco mosaic mirror on top of a lazy susan. 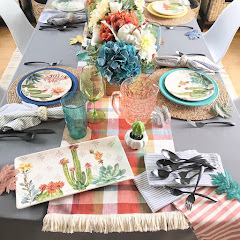 The modern triangular mosaic printed table runner and chair cover fabric was a DIY sewing project I quickly made that was originally a fabric shower curtain from Target. Tiny disco balls were scattered everywhere and some were hot glued together in the shape of a SNOWMAN for the inside of my DIY SNOW GLOBE made out of giant fish bowl. When everything was almost finished, I still felt like something was missing... which I later realized was extra mood lighting. So I did one last DIY craft project which was my "SNOWY SPARKLY CANDLE LIGHTS" (click for DIY TUTORIAL here) plus I added tiny string lights to all my palm tree plants. Finally, it was all finished! It turned out soooo DREAMY, if only it would actually SNOW outside, then my living SNOW GLOBE vision would be complete. Below is the REVEAL of my mini home tour featuring the COLORFUL Winter Wonderland Dining Room!!! 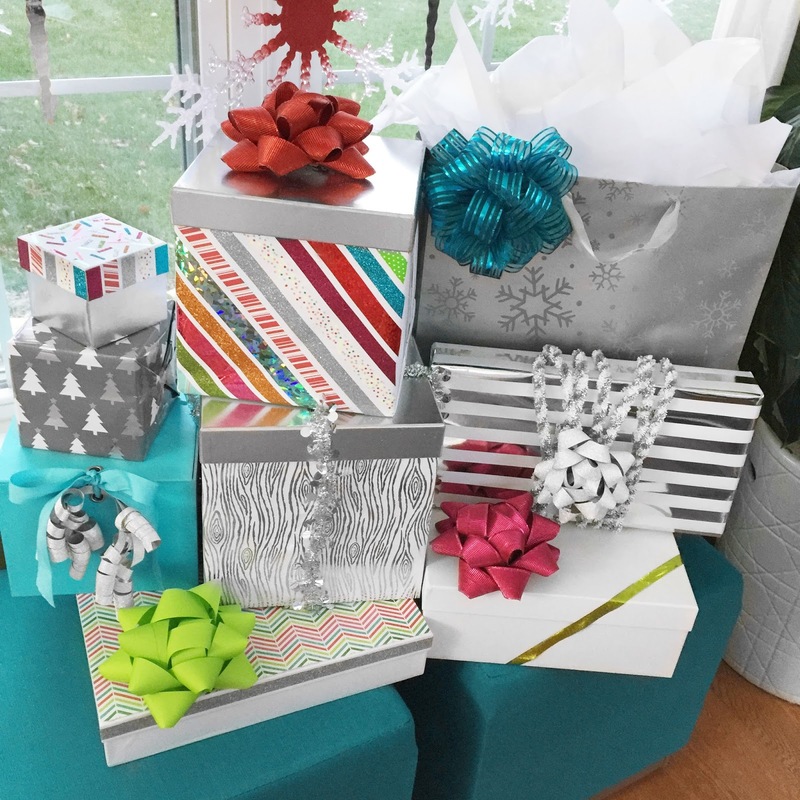 Tis' the Season for a HANDMADE HOLIDAY!!! 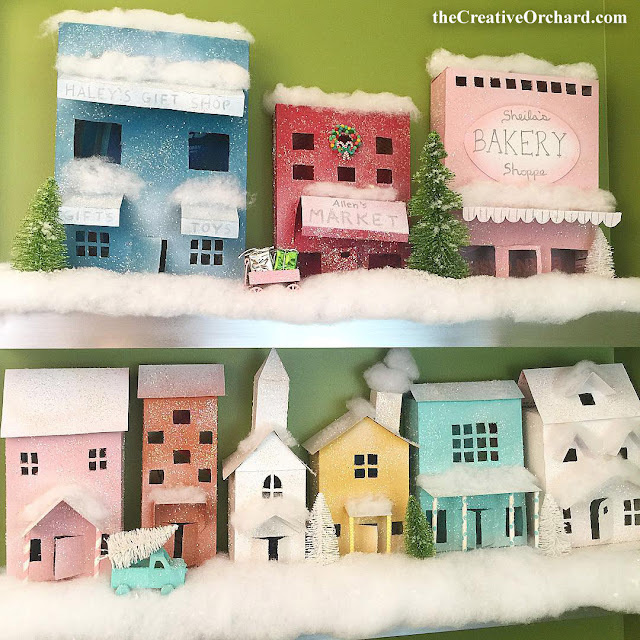 Do you like adding HANDMADE touches to your HOLIDAY decor? 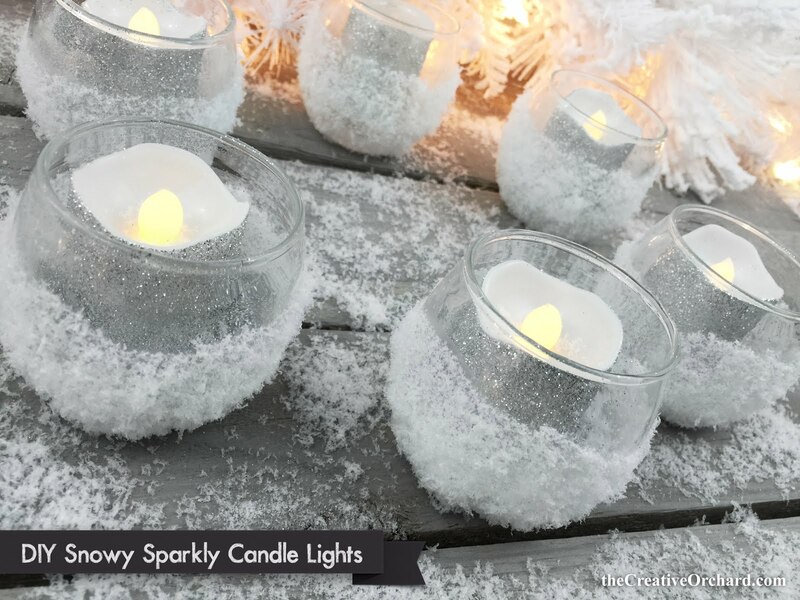 These DIY Snowy Sparkly Candle Lights are a beautiful blend of sparkle and elegance that would make anyone's HOLIDAY decorations shine! 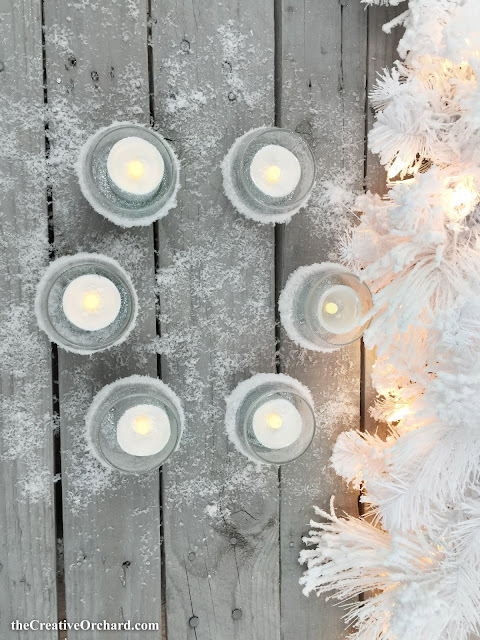 In the evening, their little candle lights assist in setting a cozy WINTER mood by spreading a warm golden glow over your HOLIDAY tablescape or vignette. The idea for this DIY project developed while I was decorating my dining room for the HOLIDAYS. Although everything was looking good so far, it was still missing something extra special to make the ambiance twinkle at night. One go-to item that almost always seems to finish off any tablescape is candles. Unfortunately, I can't use "real" candles with an open flame due to safety reasons, so I have to use "kid-friendly" battery operated faux candle votives instead. But I was still determined to make fake ones look GLAMOROUS!!! And I feel like I succeeded! If I can find time this week during this busy HOLIDAY season, I will try to give a mini HOLIDAY Home Tour of my dining room, featuring these DIY Snowy Sparkly Candle Lights that were scattered throughout my tablescape. 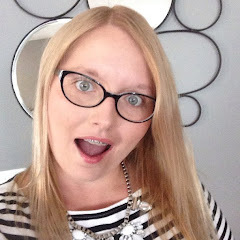 Take a glance at the photos below, then please let me know what you think of the final results? 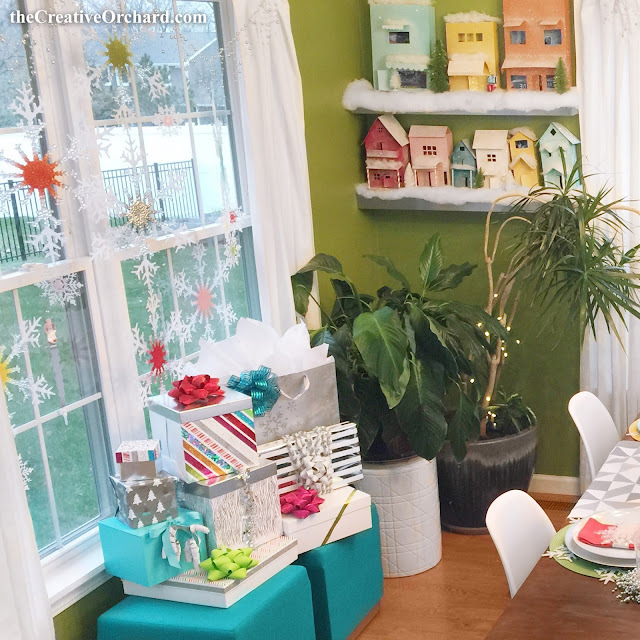 If you would like to see more DIY HOLIDAY IDEAS follow #createholidays on Instagram! STEP #1: Carefully DIP the Paint Brush inside the Glue bottle. 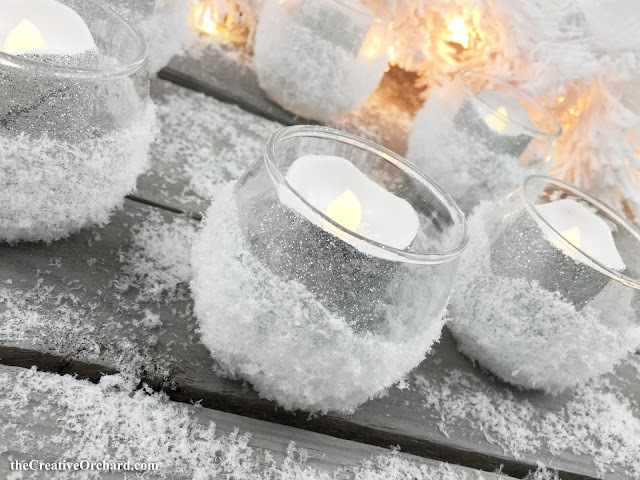 Then BRUSH Glue all around the bottom area of the Glass Votive. Cover about 75% of bottom half but be sure to leave at least 1 inch untouched at the top half. Promptly SPRINKLE Faux Snow Flurries over all the areas of "wet" glue before the glue dries. STEP #2: Carefully DIP the Paint Brush inside the Glue bottle AGAIN. 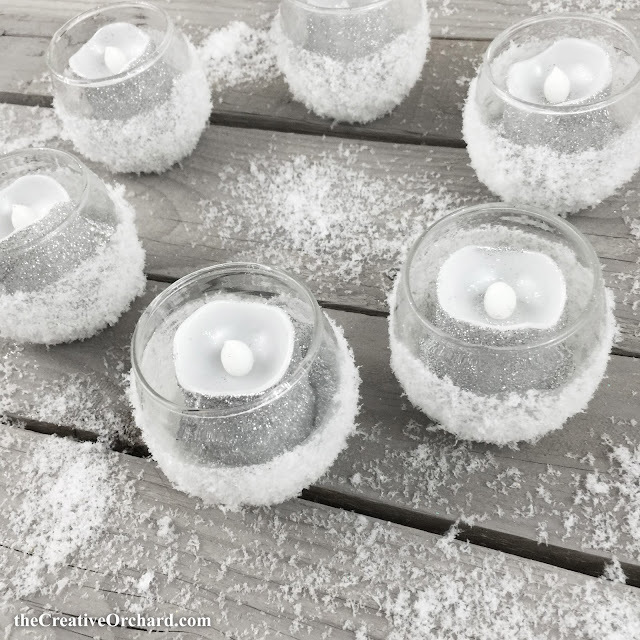 Then BRUSH Glue in circle shape on the bottom area inside the Glass Votive. My *pre-used glass votive had leftover melted wax inside so I just BRUSHED Glue over the top of the wax. Then promptly SPRINKLE Glitter over the glue inside and swirl the glitter around until glue is entirely covered. POUR out access Glitter. Let DRY completely. STEP #1: Carefully DIP the Paint Brush inside the Glue bottle AGAIN for the final step. 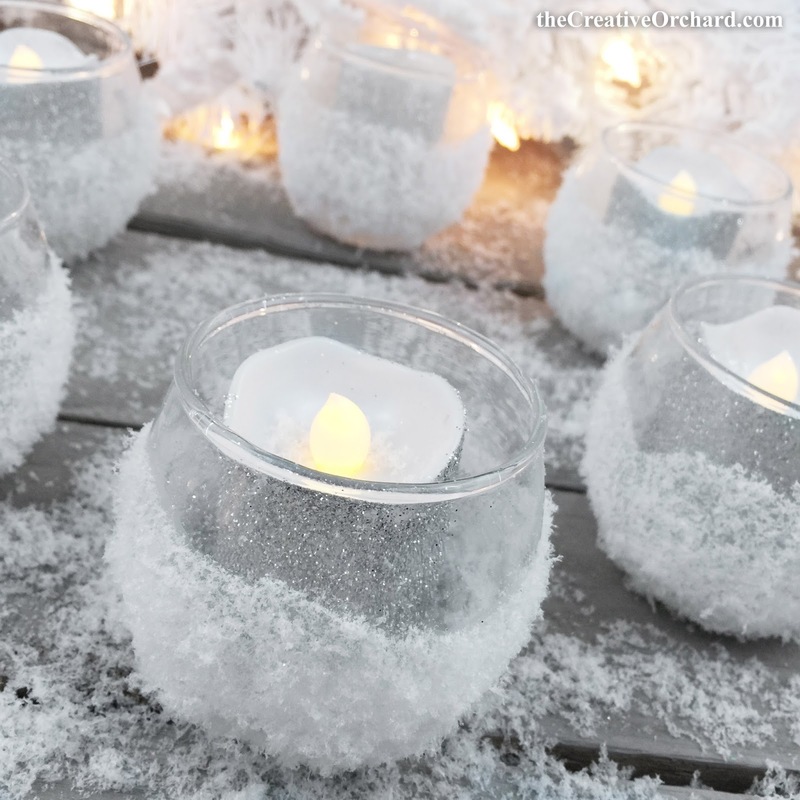 Then BRUSH a thin coat of Glue all over the entire outside perimeter ONLY of the faux Candle. Do NOT paint the top inside or bottom areas. Let DRY completely. 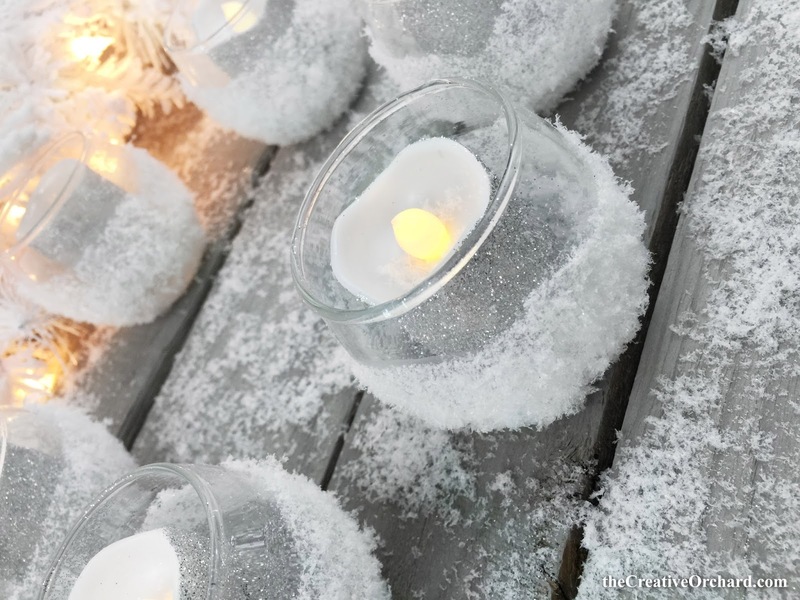 After EVERYTHING is DRY, gently place the Sparkly Candle Light inside the Snowy Candle Votive. That's it! You're DONE!!! *UPCYCLE TIP: I had tons of pre-used Glass Candle Votives left over from a friend's wedding. Instead of throwing them away, I kept them "just in case" I could upcycle them some day. Good thing I did!!! - Scatter them throughout your HOLIDAY tablescape. - Add them to your HOLIDAY fireplace mantel/shelf vignette. 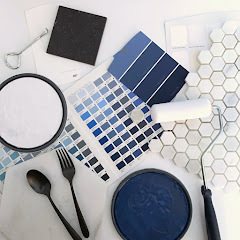 - Place them on a vanity counter to use during a bubble bath while trying to relax during the hectic HOLIDAYS. - Use them as a centerpiece at a WINTER Wedding Reception, School Dance or Anniversary Dinner. 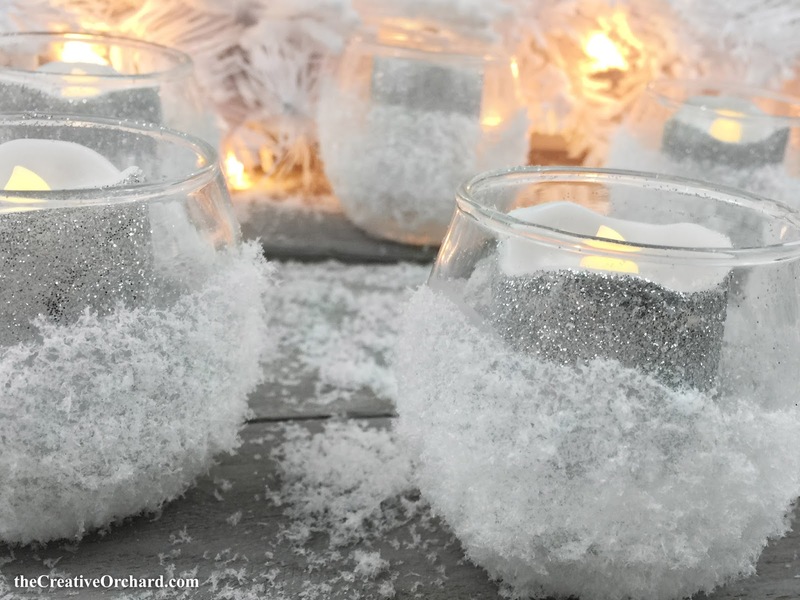 - Incorporate them into a dessert table/buffet for a New Year's Eve celebration. 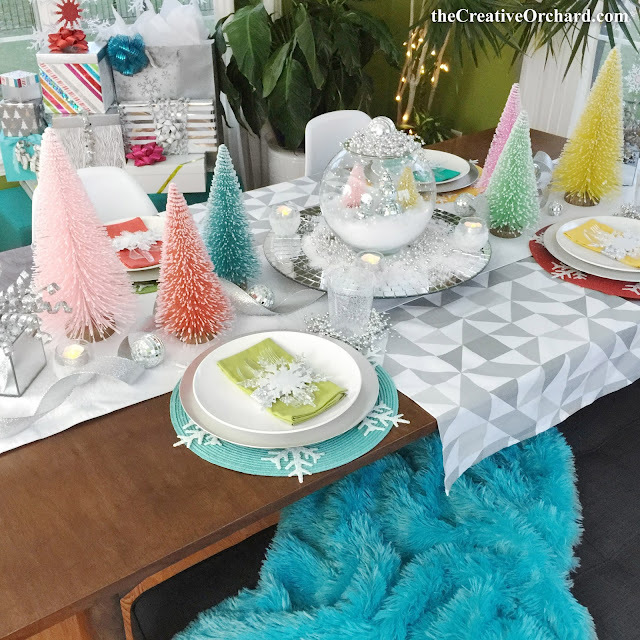 - Surround the outside of a cake stand with them for a WINTER ("Frozen") Themed Birthday Party.